Our mission is to promote global peace and understanding through the power of youth travel and cultural exchange. Our story begins in the aftermath of World War II, when our founding organisations realised young people could play a valuable role in fostering international understanding simply by stepping outside their own countries and cultures. While the formation of WYSE Travel Confederation has evolved since then, our organisation has remained passionate and committed to promoting and developing opportunities for young people to travel, work, study and volunteer abroad. Today, youth travel is one of the fastest growing segments of the travel industry. The economic impact is estimated at USD 250 billion per year and is still rising. Our not-for-profit membership based organisation is the world’s most powerful network of youth, student and educational travel businesses, collectively serving 30 million young travellers worldwide each year. When you work for WYSE Travel Confederation, you work for youth travel. We are an Affiliate Member of the United Nations World Tourism Organisation (UNWTO) and hold consultative status with the United Nations Educational, Scientific and Cultural Organisation (UNESCO). Our team is comprised of highly skilled international professionals who are passionate about their work and committed to delivering the highest quality support to our members. 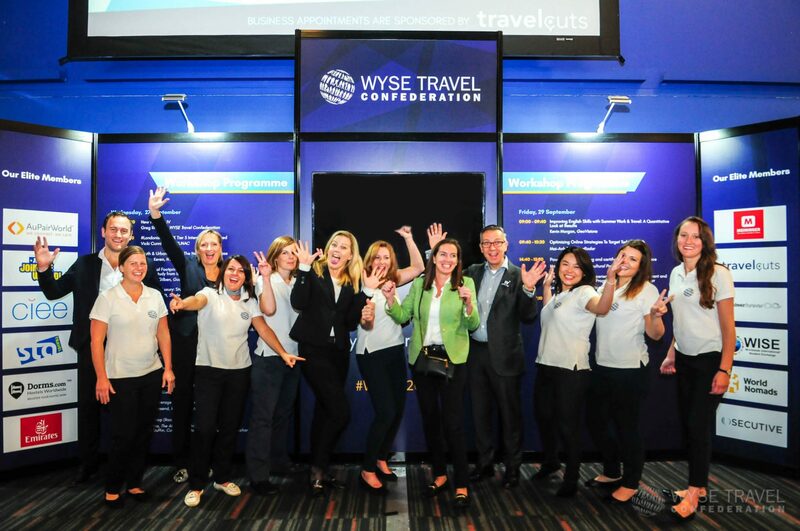 WYSE Travel Confederation’s research, events and advocacy activities aim to raise the profile of our members and the entire youth travel industry. We are friendly, collaborative, and take pride in the agility and cultural diversity of our organisation. Innovative and outside the box thinking are not just encouraged, but expected. WYSE Travel Confederation members expect the highest standards from our business and we meet those expectations by recruiting outstanding people. We look for people who are passionate about the industry, committed to building relationships with members and willing to drive the industry’s business forward. We seek intelligent people with an entrepreneurial mind-set who are ready to generate ideas, demonstrate initiative and explore new possibilities. We want people who are prepared to learn, but who are also willing to impart their skills and knowledge on others. Our team members are pragmatic, committed to overcoming challenges and achieving results while always retaining and displaying the highest levels of professionalism, integrity, honesty and fairness. We operate from a beautiful historical building in the heart of central Amsterdam. In addition to providing you with the next professional challenge of your career, we offer competitive salaries, 23 days of annual holiday leave, an annual training and development budget, international travel opportunities, and the opportunity to gain experience in a truly international working environment. Available positions are posted on our website as and when they arise. Please submit applications for a specific position; we do not accept open applications. We are constantly looking for smart, funny and passionate interns to support our team in Amsterdam. Internships are available within research, business development, marketing, events and design. Send your CV with a cover letter and don’t forget to let us know which department you are most interested in and why! Our office is on the 3rd floor of the iconic Astoria building located on the intersection of the Keizersgracht and Leliegracht canals, on the same block as the Anna Frank House.